In addition, 13 of the game's current stars will collect $241,000 in postgraduate scholarships as members of the 2018 NFF National Scholar-Athlete Class. The 13 student-athletes will also vie as finalists for the coveted William V. Campbell Trophy®, which will be awarded during the event for the 29th time to the nation's top football scholar-athlete. 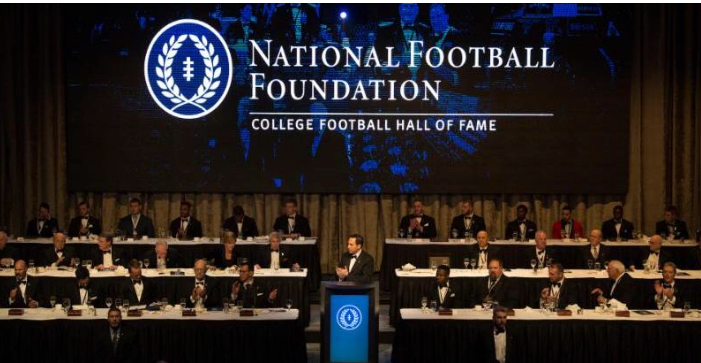 With more than 70 current collegiate head coaches and more than 40 returning members of the College Football Hall of Fame in attendance, the night will feature several well-known football luminaries. 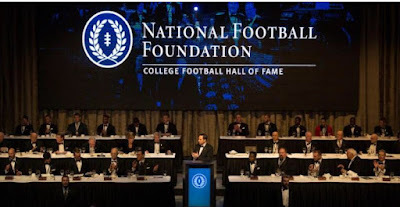 NFF Chairman Archie Manning said, "The National Football Foundation represents everything right about our great sport, and this night simply features the best and brightest of college football. The accomplishments of our 2018 honorees make us all proud while providing us the ultimate vehicle for inspiring future generations to follow in their footsteps." The Master of Ceremonies will be Joe Tessitore, the play-by-play voice of ESPN's "Monday Night Football"
The introduction of returning members of the College Football Hall of Fame will be done by Holly Rowe from ESPN.